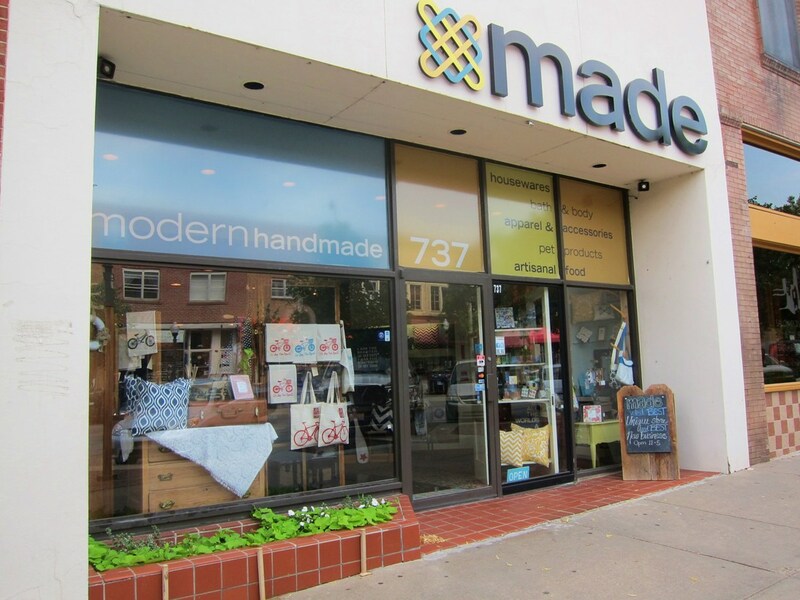 Being one of the very first shops I stopped in upon settling in Lawrence two years ago, I am very happy to finally be posting about Made. 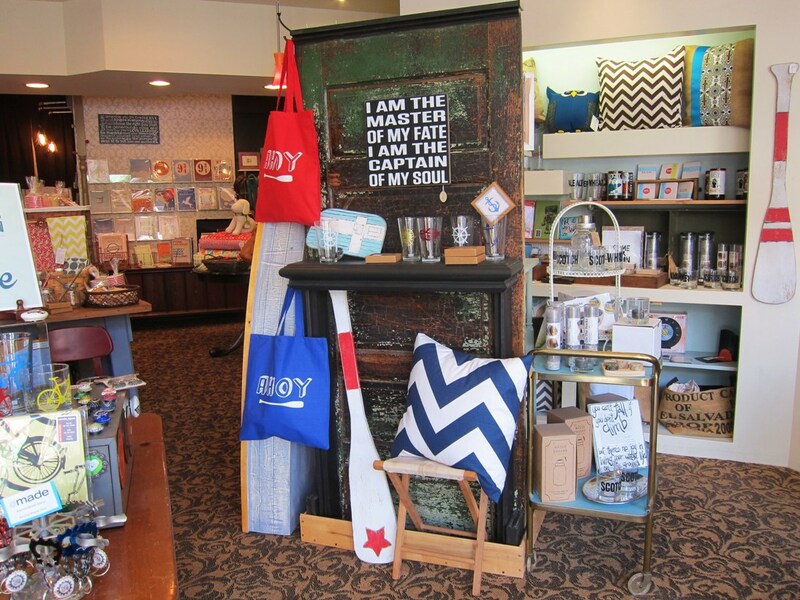 Made is a sweet little shop that specializes in handmade goods from across the U.S. There are plenty of beautiful products here, and since I stopped in today to pick up a gift for a friend, I have plenty of photos to show you what it’s all about. Quite the fresh looking store front. According to Made’s website, the store features “unique handmade items for You, Your Home, Family & Pets!” This is definitely the best way to describe the variety of products you will find here. 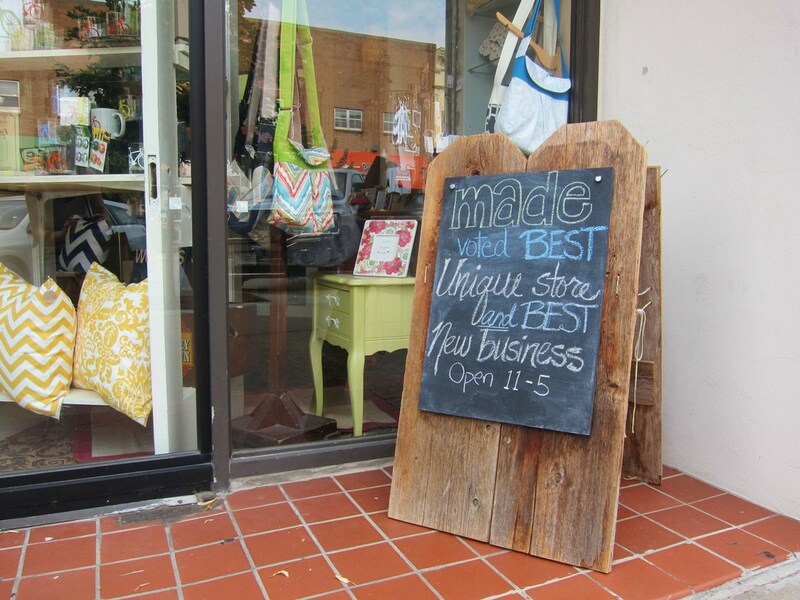 I’ve often thought of Made as the perfect shop to stop in if you’re in need of gift. 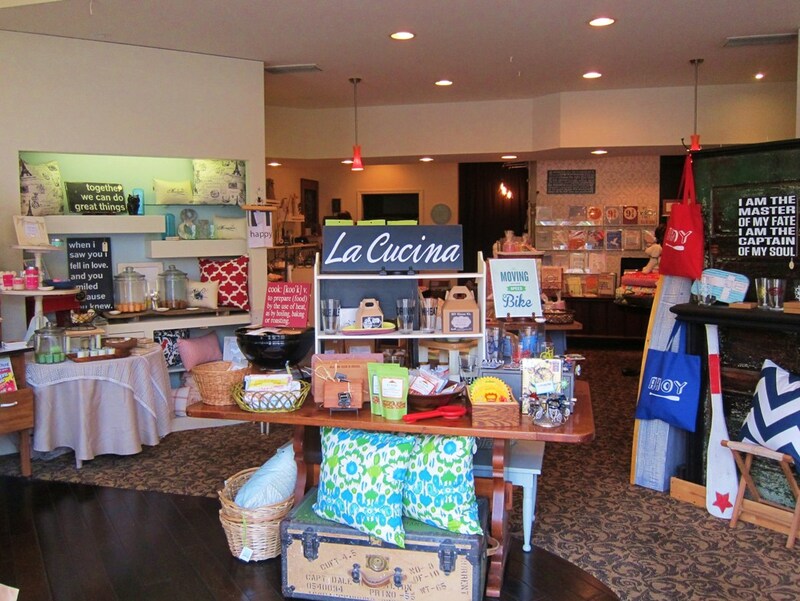 Their selections spans the board: kitchenware, decor, women’s accessories, children’s items, bath & body, seasonal, greeting cards, pet items, office, and even artisanal food. And again, it’s all handmade! Such a cozy local shop. Here's the view when you first step inside. And the sweet jewelry nook near the entry way. The owners of Made – Jennifer and Matt – shared that they work with about 160 artists total(!) While many of their products come from across the country, they also offer quite a few items that have been locally made in Lawrence. 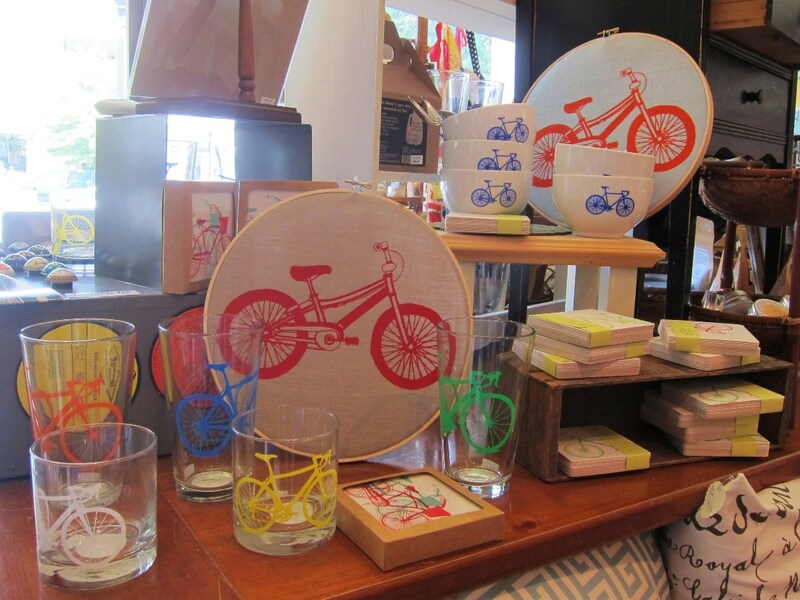 Some of the more popular items, as I was told, are the bicycle paraphernalia and specialty glassware. I also have to say – from personal perusing/obsessing experience – Made offers heavenly-scented candles, playful elephant vases, and even felted soaps (yes,… felted soaps!). Bicycles are red, bicycles are blue, bicycles are green, yellow, and orange, too. 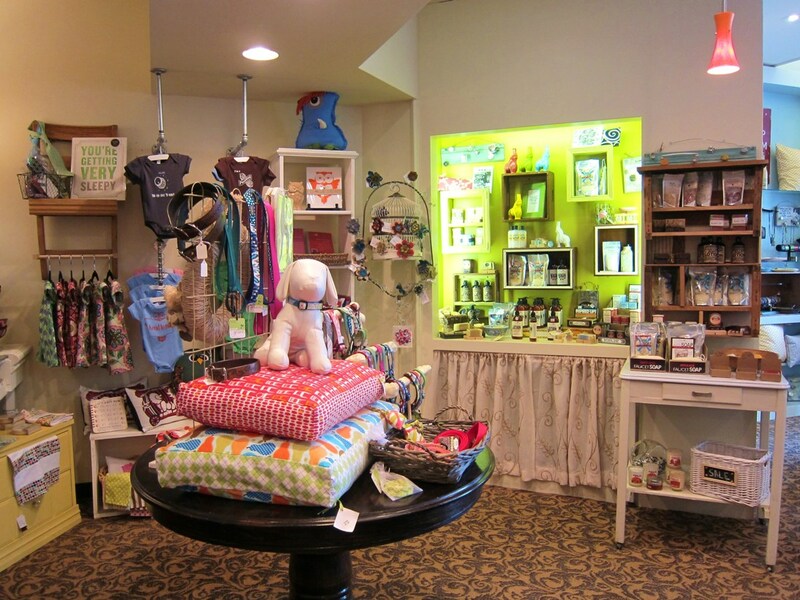 Bath & body products, clothes for the bebé, and pup accessories. 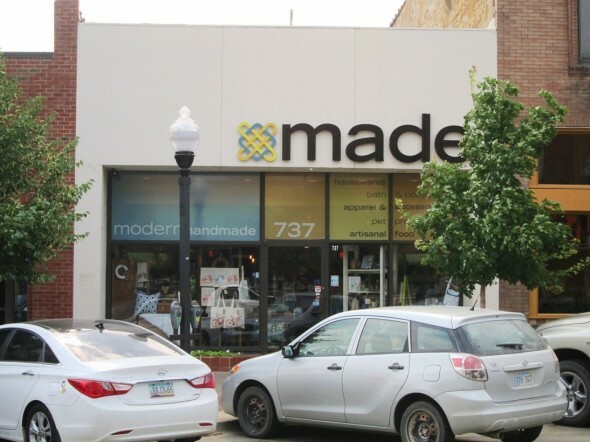 Made has been a part of Lawrence for two years now, and it has undoubtedly added to the appeal and joy of Mass Street. 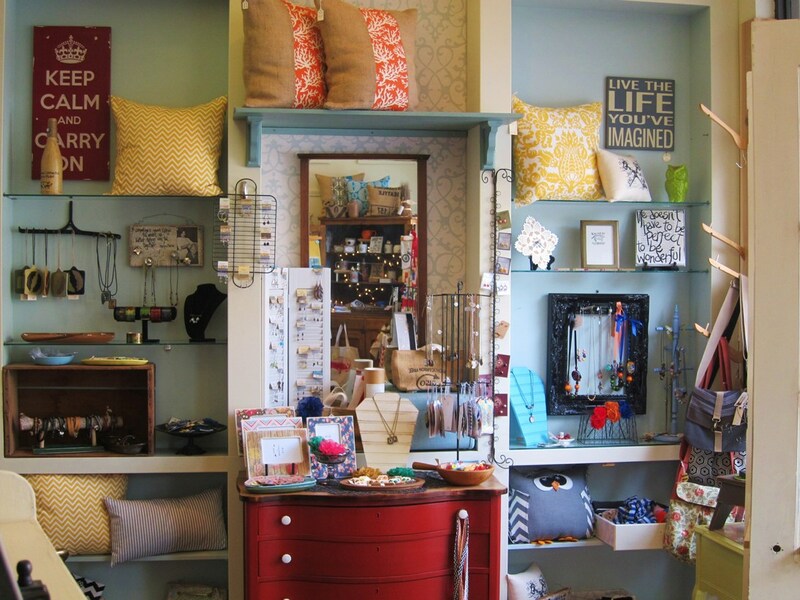 In fact, this year it was voted Best Unique Store and Best New Business in the Best of Lawrence! So there you have it, it’s quite the favorite. 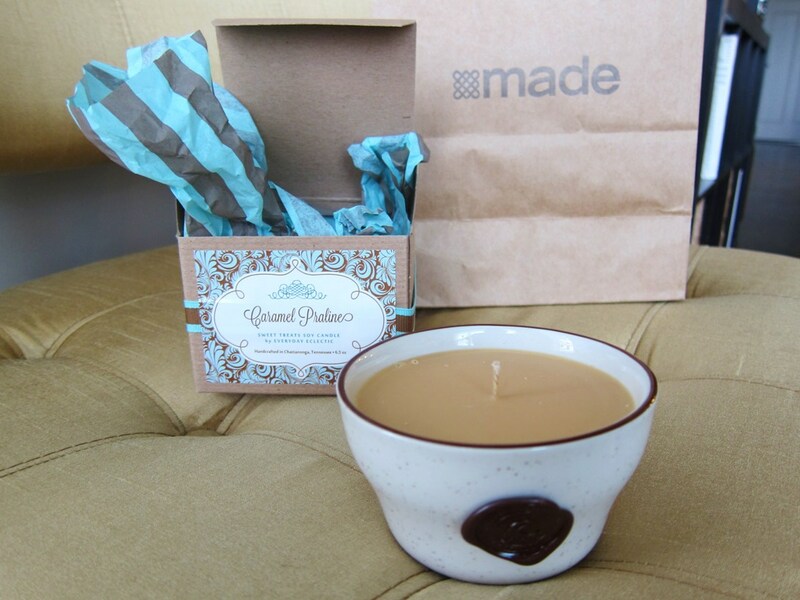 During my visit today, I decided on a ‘caramel praline’ soy candle (made in Tennessee), and my goodness did it smell like heaven’s kitchen. This was a special gift for a friend of mine, and needless to say, she found the scent just divine. My handmade gift, including tax, cost $17.42. I’m a big supporter of local goods and shops. Our beloved Mass Street wouldn’t be what it is today if it weren’t for the fantastic people behind the products and businesses! Hope you can find time to swing by Made soon and appreciate the craftsmanship of these unique items. Caramel Praline candle. Isn't she just the cutest? This entry was posted on Monday, July 8th, 2013 at 2:41 am. It is filed under Businesses and tagged with art, gifts, jewelry, local, shopping. You can follow any responses to this entry through the RSS 2.0 feed. Just stumbled on your blog, actually followed a link from the LJworld online. As a KU alumni and someone who loved Lawrence so much that I moved back here to raise my family, I am loving your blog. We live out west, but I often dream of a day when we can sell our family home (after our 5 kids grow up and move out) and find an apartment or loft near Mass street. Thanks for sharing your view. If I were to suggest anything, so far, it would be to increase your font a bit. This 40 something year old has to squint a bit to read it. Otherwise, it’s quite fun and I’ll be following along.